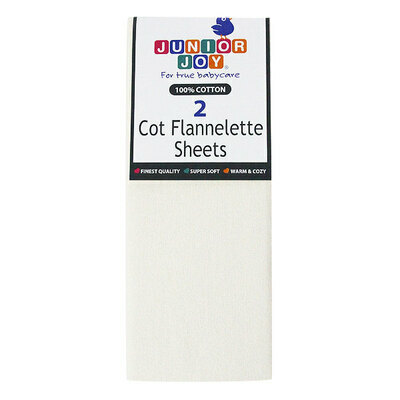 Dressing cots for small children just got safer and easier with the use of our Cot Flannelette Sheets 100 x 150cm White x 2. Made from 100% cotton for a fully breathable and soft finish, this double set of cot sheets fit easily to most standard cot mattresses to protect delicate skin. Suitable for use from birth, these high quality and super soft sheets create a warm and cozy sleeping environment while also allowing the body to breathe when temperatures rise. They have been finished in a versatile, cream tone for use in all different nursery designs and wash easily to maintain optimal hygiene. The perfect addition to any medical or educational nursery environment during nap time. Gompels is a leading suppliers of Nursery Supplies and prides itself in its range of high quality branded and own products including lines in our Baby Feeding category or essential Nappies.